20 Questions on the New Economy for Philip Linden. Discussed in Part One: An overview of the in-world economy; the changes being made to it, and why; questions on their implementation; their impact on businesses and residents; the community protest against them. It's a little like interviewing the Chairman of the Federal Reserve Board-- if Alan Greenspan was a heavy metal guitarist who lived in a stucco mansion on a hill, and there was a torch-wielding mob outside. (Figuratively speaking, of course.) Some recent Linden Lab-instituted economic changes have sent shockwaves through the community, and the backlash, featuring an online petition, protest prose, and at least one actual protest, has been significant. Because of this, I sought a rare interview with Linden Lab CEO Philip Rosedale (i.e. Philip Linden), to explain his case to the public. 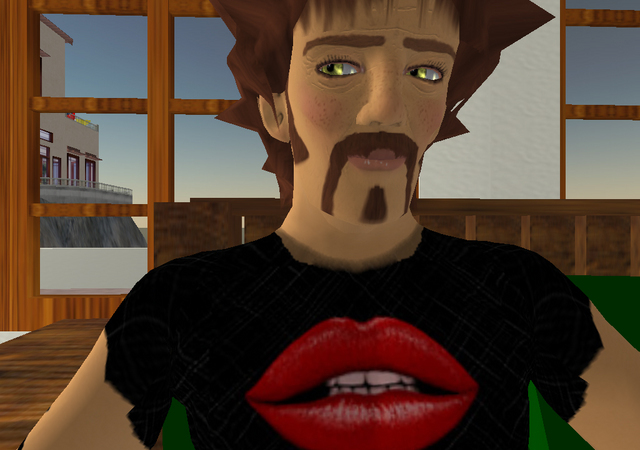 (For that reason, I also sought questions from Second Life residents, many of which I relay to Mr. Linden below.) 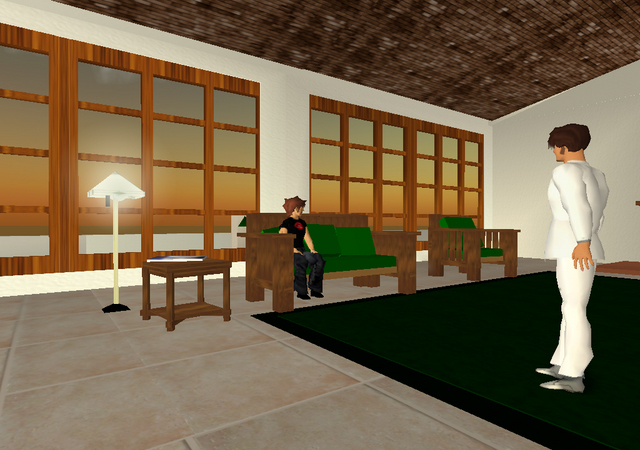 Yesterday, we sat down in the living room of Governor Linden's mansion in Clementina for an hour-long chat regarding Linden Lab theory and practice for running Second Life's microeconomy-- and how it impacts the culture of the world they've created. Hamlet Linden: To first give my readers some context, give me a brief overview of how Second Life's economy works, in terms of money coming in and going out, and controlling for inflation. Philip Linden: Sure. The Second Life economy is a lot like a foreign currency, so there is a total amount of money that everyone collectively has in their accounts, like the level of water in a pool. There are things we do that put money into the pool, and things we do that take it away. Since Second Life is growing very fast, and because new users get less money than the average amount that everyone else has, we have the opportunity to put additional money into the economy in a way that doesn't cause inflation. So the tough decision is how much to add, and where to add it. So this is the work that we have to do that is much like the US Federal Reserve... we have to decide what is right amount to add, and how to add it. We add more as residents come in, based on the idea that as additional people enter SL, the “pool” of money can grow at about the same rate without causing any inflation. So 10% more users means we can add 10% more money. HL: So in a nutshell, what are these new changes, and what inspired them? PL: As it stands today, there are several 'incentive' programs where we add the money I described to the economy. We created these programs, because we thought it made more sense to take some of the money that would be allocated to new users, and instead give it to the existing population in a way that would help SL develop. This is very similar to things like the US government's SBIR program, which is something where the government gives money to small companies that are trying to make products that are generally useful for people all over the country. - Dwell/Traffic: we pay some money for folks who have lots of people visiting their land. - Ratings Stipends: We pay some money for having a positive reputation. We reduced the size of two of the subsidy programs. In the case of ratings bonuses, we reduced by 50% the extra amount of weekly stipend that you can receive for having a high reputation. This change had a mean impact of about L$37/week on people. The second change was to reduce support for events. In the past, we have allowed anyone who holds an event to ask for up to L$750 in support for the event. In the future we will do this only for educational events - those that specifically help new users. HL: A resident asks, "Was it necessary to implement all these changes en masse, as opposed to gradually?" If so, why? PL: I think that we will generally review the economy about once a quarter, see whether any changes need to be made, and make them. So these two changes could have been staggered, I suppose, but there is also an argument for keeping stuff like this on a simple schedule, etc. HL: A resident says, "People go buy hundreds of thousands $L [on 3rd party exchange sites] to just give away in clubs, 5k raffles etc etc. None of this money is generated in SL. NONE of it. And you're supposed to be building an economy based on this... HOW?" PL: Hmm.... I'm not sure I really understand the question… but the idea that folks are buying currency from each other to support events-- that is EXACTLY what is supposed to happen. Money is moving around within the economy to reward what people are enjoying and wanting to do. In a working economy, the prices of things correspond to their real value to everyone else. So for example, after the 1.4 release [which added customizable avatar gestures – HL] the cool animations people created were immediately able to command good prices. In the case of subsidies, the problem is that there is no mechanism for pricing them. So the number of people at events was only partially due to inherent appeal, and partially due to our giving away money to sponsor them. It is better to start with some small subsidies, and then let the market take over. HL: Maybe the questioner is pointing out that third party site exchanges of L$ are an artificial imposition of real money into the SL economy. So they're "buying their way" into the economy, instead of growing within it organically. Is that a fair concern? PL: Sure... it is. One of the big appeals of Second Life is that to a large extent, the value of things and the wealth/success of people here is due largely to their real skills and merit. But anything that has value can be converted to another currency. This is true all over the world and all over the online world. If we had tried to make currency trading illegal, it would have made very little difference-- it would just have hurt the progress of those folks wanting to turn some of their profits here into real money. 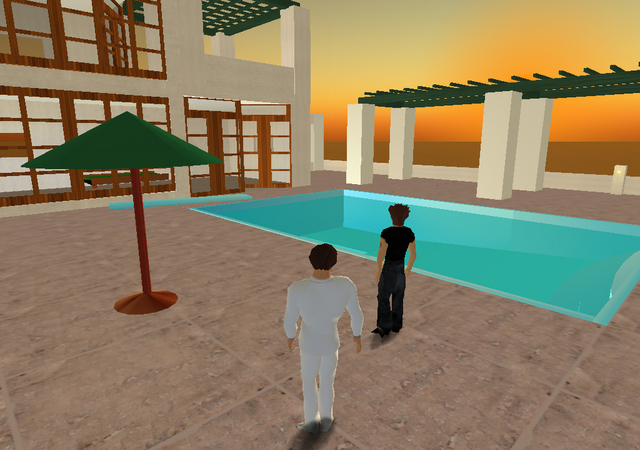 Consider the strength of what we've built so far... every month, people who have created things in Second Life turn about US$180,000 in currency into real profits. [This is Linden Lab’s estimate of the average dollar value of Second Life money sold for real money via sites like Gaming Open Market. The value of all existing Linden Dollars is estimated by Linden Lab as close to US$1,000,000, at current market rates – HL] Some of them are now able to pursue the dream of working completely within Second Life, not having real life jobs. I think that is fantastic-- that they can do that. PL: I think SL clubs are very compelling, and that club owners will adapt to these changes. I doubt that these clubs will cease to exist because of this change - many are very cool, and I suspect that people will still go to them, and where appropriate, pay to do it. There are amazing experiences - live DJ'ing and dancing, for example, that you cannot do anywhere but SL. Given that for a basic user, we charge nothing on a recurring basis to access SL, I think paying a small amount to go clubbing is a very fair deal. HL: Another resident wants to know if there will be any new Linden Dollar-related programs/initiatives you plan to introduce, to balance these changes out. PL: Overall we felt that the subsidies were too high and causing a bit of inflation in the economy, so it wasn't a matter of balancing out-- we needed to make some overall reductions. In the future, though, we may introduce other subsidies, yes. HL: How did you discern an inflation trend? By monitoring the rise in cost of certain items, or what? 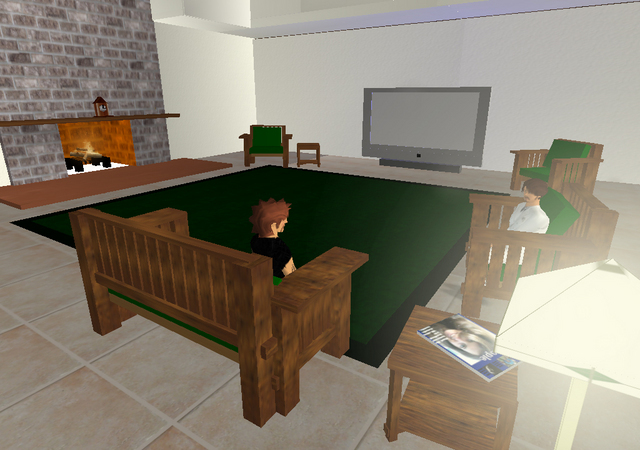 PL: We looked at several factors... there was a gradual increase in the price of objects in Second Life. We can look at this, for example, by averaging the prices of everything sold. Also, we saw a small but steady downward trend in the currency pricing on Gaming Open Market. Taken together, these indicators were suggestive of an inflationary trend. However-- in fairness, it is hard to make these decisions, as it is in real life. The inherent and rapid growth in the SL GDP-- by that, I mean the increase in the quality of objects people are making. Is a driver of price increases as well. So we have to subtract that change, and look for an inflationary trend independent of it. I mean, for example, clothes today are WAY cooler than they were in SL 6 months ago, because the designers are getting better and better. So that by itself causes prices to go up. Sorry for the long macroeconomics lesson. These were the classes we all slept through. HL: A resident asks - "Isn't Philips stat from the [in-world] Town Hall meeting a bit misleading about the effect on Basic users stipends? He quotes the median as his example: 'There are about 2400 basic users affected by this change. The median ratings stipend they get is L$75. So we are talking about a L$37 weekly change.' But median isn't a particularly good indicator, is it?" PL: Hmm..... what median basically translates into in this case is 'most'. Let me explain. Fifty percent of the people in SL get NO stipend bonus. They get either L$50 [per week] as a basic [subscriber] or L$500 as a premium user. For the folks with better than average ratings, there is a bonus payment. The median payment, in this case, means the 'middle' value... So if 2000 people got bonuses, it is the amount the 1000th largest one got. Because of the way the bonuses are 'tiered', this also means that the amount was very common. Many people got that L$75 amount, so I would defend that it as a very accurate representation of the effect on most people. Very few people get more. HL: There's an online petition of some 500+ residents, calling for Linden Lab not to impelement these changes. What would you say to these residents? PL: I thought it was amazing and cool that we could see that kind of a poll! How inspiring that SL has taken on such meaning! I think that poll says that people are having a great time going to clubs and other events, and that is a huge success. We need to make that work without subsidies, because, for the reasons I gave earlier, content in SL needs to be driven by the residents, not Linden Lab. We will figure out how to keep events exciting and keep enough of them... I suspect the economy will rapidly sort itself out on this count, but let's see. "Sorry for the long macroeconomics lesson. These were the classes we all slept through." I for one did not sleep through my macroeconomics classes, and I know a number of other residents who stayed awake through them as well. To us, this kind of information is fascinating and useful and we only wish there were more of it. And hello, Hamlet, nice job here.